As a restaurant owner, you’re always on the lookout for ways to promote your business and help it to grow. You probably have adjusted your marketing and promotional efforts as life has changed over the years. You might have put an ad in your local newspaper. You have probably put your information up online somewhere either in cultivating a Yelp account or even your own website. You’re not done yet. The time is now to add another adjustment to how you run your business with adding another online marketing tool: online ordering. Online ordering might be seen as some as a fad, but it’s anything but. The truth of the matter is that online ordering is one of the preferred methods of ordering food today, and is showing no signs of slowing down. In a generation that prefers to text and use apps for communication over picking up the telephone to call someone, it makes sense that you move to a method of ordering that offers the same convenience. Even older generations enjoy being able to just pick up their phone or open a new tab on their computer to order dinner, lunch for the office, or even place an order for the upcoming conference that’s being held. The true draw to online ordering is the convenience of it all. The person wanting to place an order can pull up your entire menu for ordering, and take their time looking it over. They can add items to their cart as they go along, and get an easy to understand total for their order. They can even make their payment right then and there with a credit card along with being able to add a tip for the delivery person. Then, afterward, all that’s left is to open the door, sign a receipt, and the food is served. The customer doesn’t even have to worry about dirtying plates or all the other aspects of clean up that usually come with dinner. At the end of a long day, this is the perfect way to bring a family together, and your online ordering can offer that to them. Once you get your online ordering up and running, you’ll start noticing a difference quickly. Your already faithful diners will adopt this new and easy way to start placing their orders. You will find that new diners that haven’t tried you in the past will decide to place an order thanks to the ease of using your new online ordering platform. In fact, the impact on your business will be felt greatly after you implement this change as long as you work to make it a smooth process. The results will be seen as long as you keep these two things in mind when it comes to your online ordering platform. You need it to be simple to use and very user-friendly. You want your online ordering to be similar enough to other ordering sites that a user will be able to navigate it easily from starting their order, seeing what’s on the menu, and completing their order. Having an online ordering platform that makes it complicated to use means that it could scare away orders. Someone will have to be really motivated to use your online ordering system to place an order if they come into problems with it. The good news here is that you don’t have to reinvent the wheel since there are several attractive online order systems that you can use for your restaurant. 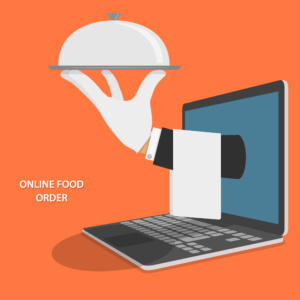 Once you get your online ordering system up and running for your customers to use to get your food delivered to their home or made ready for pickup, you’re going to want to promote that you now have added this convenient feature. Just having it on your website just isn’t enough. It’s a great starting place, but you can put up flyers in your restaurant, you can advertise it online, you can email your newsletter recipients about it, and let it be known on your social media platforms. The more people know about your new online ordering, the more likely they’ll use it for their next order. As a business owner, it’s up to you to revolutionize your restaurant and work to grow your customer base. 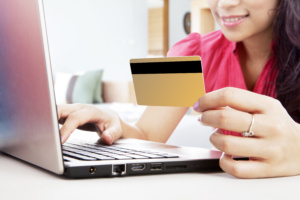 One of the best tools available to help you with that growth is to online ordering. Your customers can use your online ordering system with their smartphones, laptop, or tablet for one of the most convenient methods of putting dinner on the table. You may think that it’s too hard to get your own online ordering up and running on the Internet, so you might as well move on from this thought, but it’s easier than you can image. Orders2.me is here to help you with setting up your online ordering. Contact us today about how Order2.me can assist you with cashing in on this lucrative ordering tool.